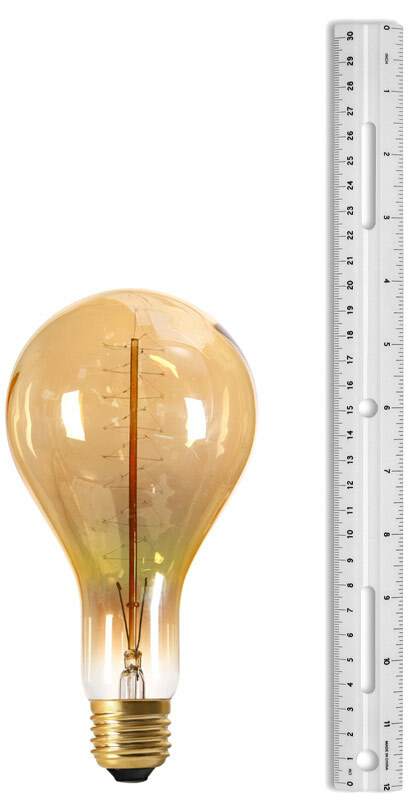 These giant filament bulbs are perfect for creating the wow factory and completing the vintage look in any room. 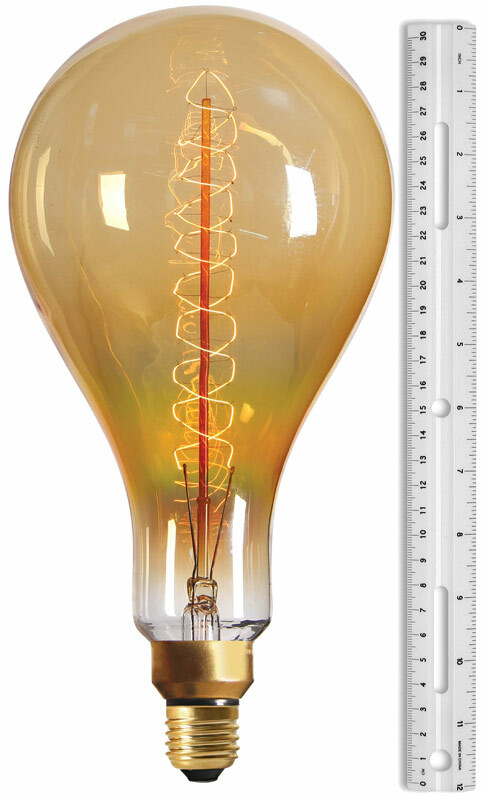 They’re available in three sizes; 180mm, 200mm, and 314mm tall, and all have beautiful spiral filaments and gold tinted glass. 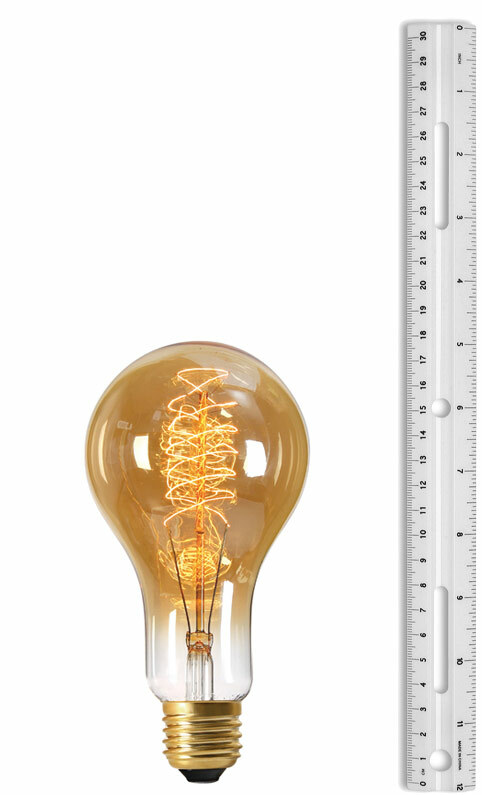 To give you a sense of scale as to just how big these bulbs are, we’ve placed them next to a standard 30cm ruler. Scroll down to see the images.